We make various services available on this site including, but not limited to, landscape design, nature play and learning space design, workshops and training both in person and online, and the sale of books and playspace elements and furnishings, and other like services. You are responsible for providing, at your own expense, all equipment necessary to access the services, including a computer, modem, and Internet access (including payment of all fees associated with such access). Copyright (c) October 10, 2018 EarlySpace, LLC All Rights Reserved. This site (excluding any linked sites) is controlled by us from our offices within Virginia, United States of America. It can be accessed from all 50 states, as well as from other countries around the world. As each of these places has laws that may differ from those of Virginia, by accessing this site both of us agree that the statutes and laws of the State of Virginia, without regard to the conflicts of laws principles thereof and the United Nations Convention on the International Sales of Goods, will apply to all matters relating to the use of this site and the purchase of products and services available through this site. Each of us agrees and hereby submits to the exclusive personal jurisdiction and venue any court of competent jurisdiction within the State of Virginia with respect to such matters. All notices to a party shall be in writing and shall be made either via email or conventional mail. Notices to us must be sent to the attention of Customer Service at info@earlyspace.com, if by email. Notices to you may be sent to the address supplied by you as part of your Registration Data. In addition, we may broadcast notices or messages through the site to inform you of changes to the site or other matters of importance, and such broadcasts shall constitute notice to you at the time of sending. Any contracts for design or other services will be by a separate agreement. EarlySpace, LLC (“Seller”) hereby agrees to sell, and You (“Buyer”) hereby agree to purchase, goods of the description and quantity described on the checkout window (“Checkout”) and incorporated herein by this reference (“Goods”) on the terms and conditions set forth in this Agreement. The total amount of the Purchase Price shall be payable in full by Buyer according to the payment due date stated at Checkout. Any portion of the Purchase Price unpaid past thirty (30) days shall be considered overdue. All amounts past due are subject to a late charge of five percent (5%) per month or the highest lawful rate. In addition, Seller shall have the right to pursue any remedies available at law or as provided herein and shall be entitled to reimbursement from Buyer for Seller’s costs of collection, including attorney fees, legal fees and costs and disbursements. Buyer should be sure the item ordered will satisfy the intended use because all sales are final. IN NO EVENT SHALL SELLER OR ANY SELLER AFFILIATE BE LIABLE TO BUYER OR ANY OTHER PARTY FOR LOSS, DAMAGE, OR INJURY OF ANY KIND OR NATURE ARISING OUT OF OR IN CONNECTION WITH THESE TERMS AND CONDITIONS IN EXCESS OF THE PURCHASE PRICE OF THE GOODS ACTUALLY DELIVERED TO AND PAID FOR BY BUYER HEREUNDER. EarlySpace, LLC (“We” or “Us” or “Our”) offers the use of its blogging and message board services (along with the content posted thereon, the “Services”) subject to the terms and conditions of use (the “Terms”) contained herein. All references herein to “We,” “Us,” or “Our” are intended to include EarlySpace, LLC and any other affiliated companies. By accessing, creating or contributing to any blogs or messages hosted by us (the “Blog”), and in consideration for the Services we provide to you, you agree to abide by these Terms. Please read them carefully before posting to or creating any Blog. We reserve the right to change, at any time, at our sole discretion, the Terms under which these Services are offered. You are responsible for regularly reviewing these Terms for changes. Your continued use of the Services constitutes your acceptance of all such Terms. If you do not agree with these Terms, please do not use the Services. All of our products are fully compliant with CPSC playground safety guidelines for ground level play. Each item is made to order by a skilled small business-owner craftsperson. Items are not intended for climbing. 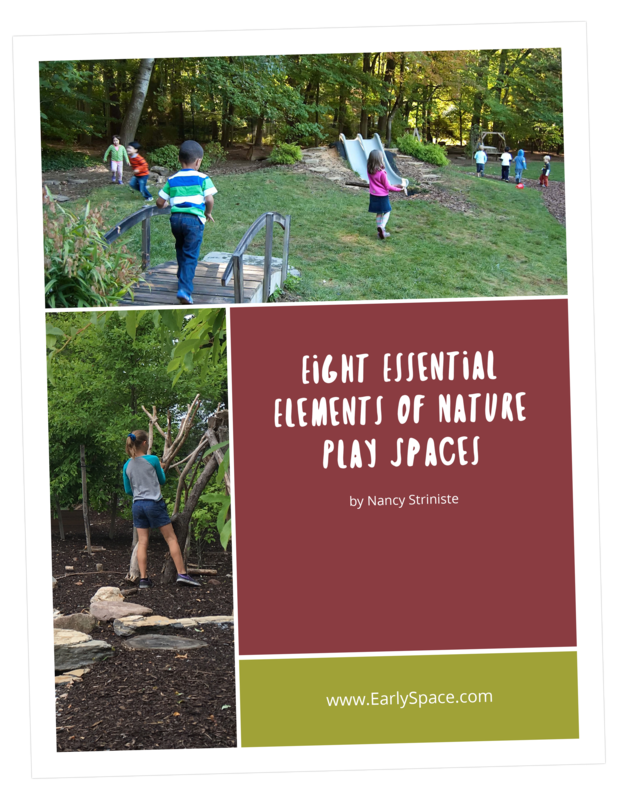 EarlySpace is not responsible for use outside of the specified purpose. This warranty applies to EarlySpace’s products for one year and with the limitations described in this warranty. The warranty period applies from the date of purchase by the first customer. This warranty covers only defects in materials. EarlySpace’s liability under this warranty is limited to repair or replacement of defective products, without charge, at EarlySpace’s discretion. The warranty only applies if EarlySpace’s products have been installed according to the instructions provided by EarlySpace, and maintained correctly according to the EarlySpace Maintenance Manual. This warranty does not cover any damage caused by accident, improper care, negligence, normal wear and tear, surface corrosion on metal parts, discoloured surfaces and other cosmetic issues or failures due to misuse or vandalism. Natural changes in wood over time are considered cosmetic issues and not covered. Products installed in direct contact with chlorinated water or saltwater or products installed with occasional contact with such water or installed so close to the shore they are subjected to salt spray are not covered by the EarlySpace warranty for any defects caused by corrosion. Products installed in coastal areas, within 200 meters from the shore, will only be covered by the warranty for half the period of the standard product warranty in relation to defects caused by corrosion. In addition, EarlySpace’s general terms & delivery conditions apply and supplement this warranty.